Fear… just a word- but for some of us- it can be our worst enemy too. Fear keeps people from attempting to achieve their dreams, and I have found this to be true when that dream involves checking into purchasing a new home too. In order to make such a large purchase, most people will need to obtain a mortgage loan- which means a phone call (in most cases) to speak with a mortgage consultant about the details. I can’t tell you how many people will call me to schedule a showing on one or more homes- and when I inquire about whether or not they have spoken to a mortgage company about their home loan- they freeze up. Most experienced Realtors – the kind you want to have represent you in a transaction- will require that you be prequalified before they show any homes to you. I am one of those Reatlors. What most buyers don’t understand in the beginning is that this very important step is in their best interest as well. Buyers should want to shop in a price range that is comfortable for their budget- and speaking to a mortgage consultant gives them the opportunity to say what monthly payment they would like- and then have a price range calculated for them based on that payment. Or, what if there was some little blemish- or even an error on the buyer’s credit report that could easily be cleared up? A mortgage consultant can assist with these issues as well. It seems so simple, but some buyers will not take this first step- in fear of rejection. I say- STAND DOWN YOUR FEARS!!! My most memorable sales -were with buyers who found the courage to call or email me- even starting out by saying “I know I can’t buy a home…. but can you help me?” Some of them- were just wrong and were signing closing papers within the month on their new home! 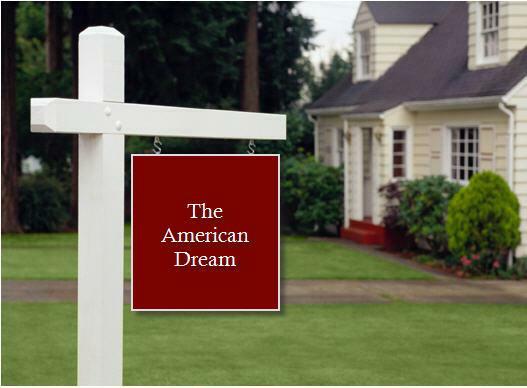 Some started working with a mortgage consultant and within 6-12 months were moving furniture into their own American Dream! When you ask yourself “What’s the WORST thing that could happen if I make this call?” – The reality is that you will find out this; “You can buy a home NOW.” or “You can buy a home in the near future -if you do these things.” No one is ever told “You will NEVER be able to buy a home.” Why? Because it’s just not true, anyone who wants to own a home- can do it if they are willing to face their fears. I will put you in contact with a local mortgage consultant who specializes in first time buyers and credit improvement plans so that hopefully sooner than later – you can become a home owner in the Killeen, Harker Heights, Copperas Cove, Nolanville areas surrounding Fort Hood Texas. Homes for sale in the Killeen Texas area are some of the most affordable homes in the Nation – and with buyer incentives here, your out-of-pocket expenses can be as little as $0. Please shop for all area homes at www.PaulaSOLDit.com and let me know how I can help make your dreams come true. « Are you a busy Mom?